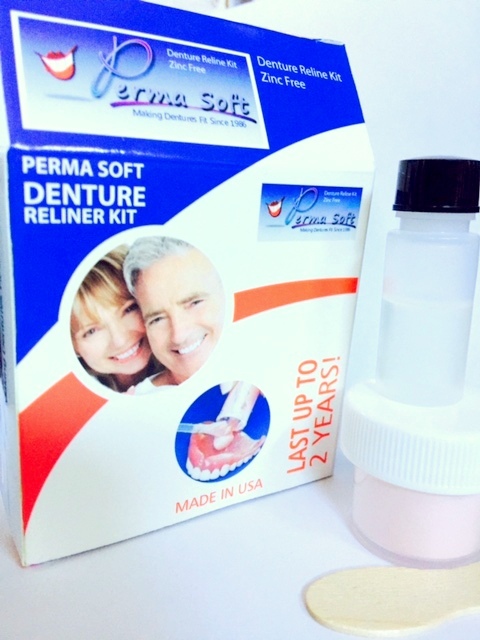 Perma Soft has been making dentures fit since 1986. 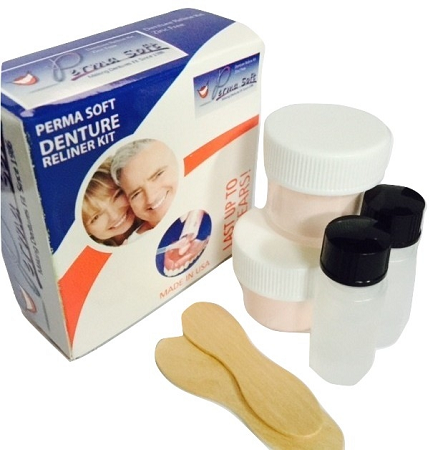 Perma Soft Denture Reline Kit is a Long-Term Corrective Reline Material with a Professional Custom Fit! ONE APPLICATION LASTS UP TO 2 YEARS ACCORDING TO OUR CUSTOMERS! My husband has used this for years. He swears by it and is so grateful that a product like this is available for consumers. It lasts a long time--just like the company says. We are re-ordering again. Thanks! 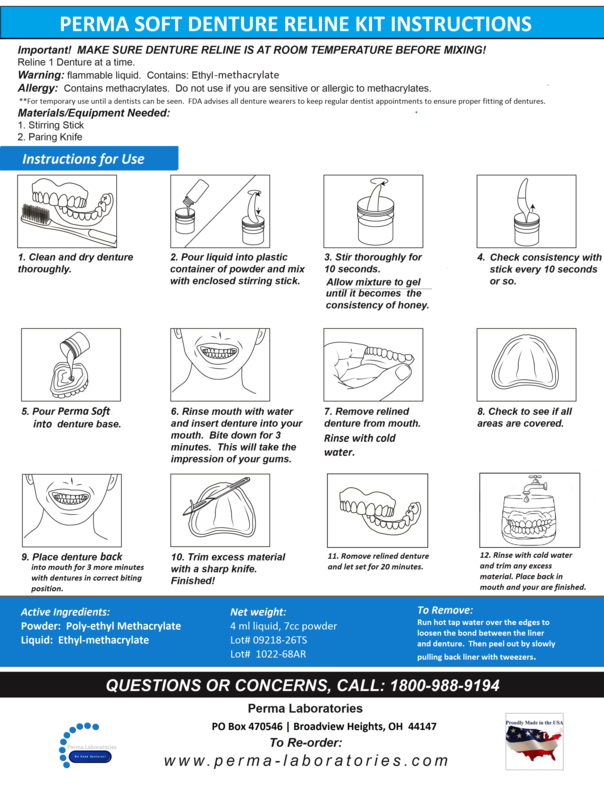 I have used these Denture Reliner kits for more than ten years and I have saved more than $1000. The dentist charges $150 to do a reline plus two trips to his office. I had a top denture for eight years then got the bottom denture eight years ago. I reline the top and bottom about every two years. I am 100% pleased with this reliner and would recommend it to everyone. EXCEPT - if you are not skilled with your hands, it might not work well for you. I am a tailor so I use my hands skillfully. I have worn dentures for several years, and have had more than my share of problems with my lower plate. My gums were always sore from the constant friction of chewing, etc. I have tried so many different adhesive options, and found that each one came with its own set of issues. I decided to try Perma Soft, and was delighted with my results. 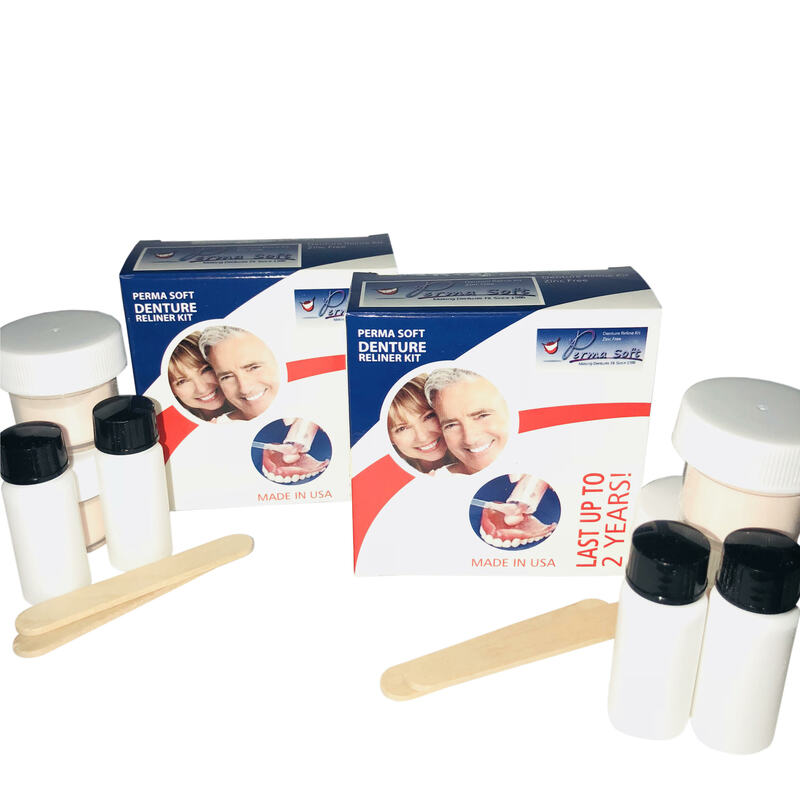 I found that the application process was easy, and my dentures fit amazing without having to use any other products. I am ordering extra kits so that I'm never without, and can reline again when needed. I would recommend trying...your gums will love it! Thank you for a great product!